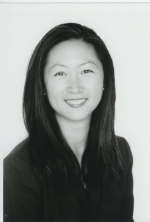 Dr. Deng is assistant professor in the Department of Urology at the University of California at San Francisco. Her current research involves examining the molecular basis and hormonal effects on incontinence. Widely published in peer-review journals and major textbooks, Dr. Deng is currently pursuing a graduate degree in global health, focusing on women’s and urologic health of the developing world.